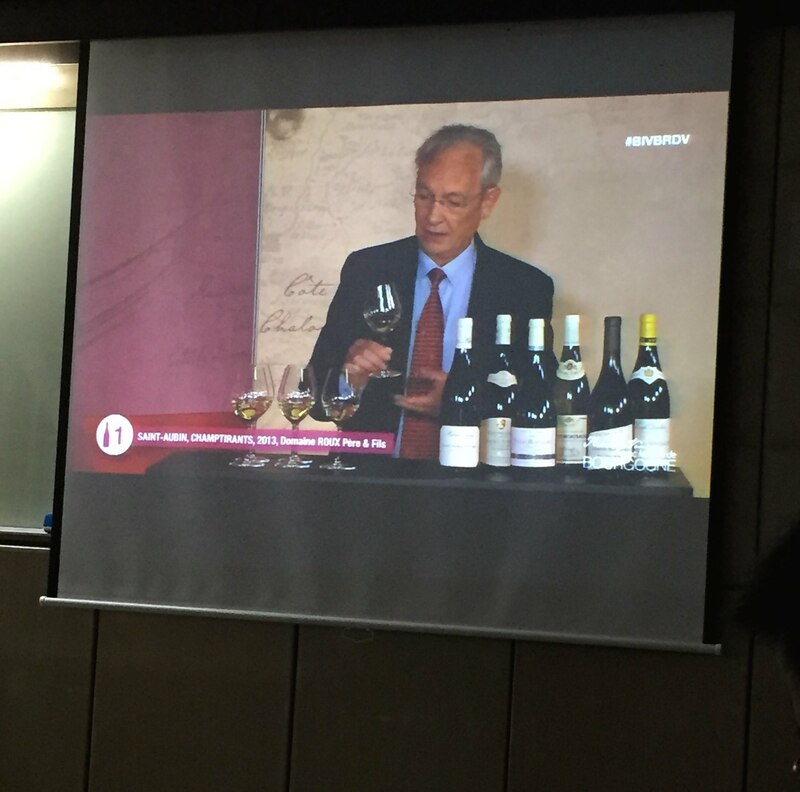 The summer months have arrived in Hong Kong and the weather is rather grey at the moment, which makes the latest installment of the BIVB’s (Burgundy Wine Board) Live and Interactive seminars the perfect antidote. We arrived to find six little glasses of sunshine waiting for us as we began the seminar focusing on Chardonnay from different appellations in Burgundy. 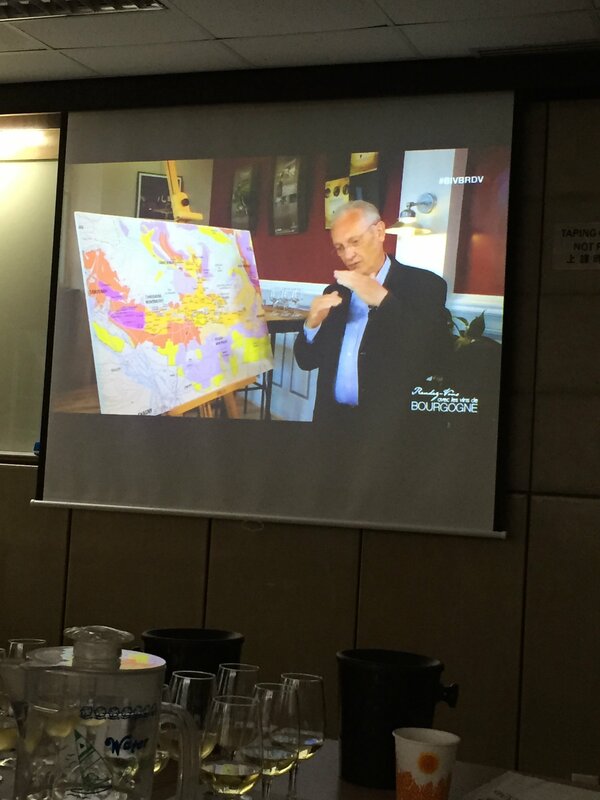 The seminar kicked of with a welcome from the expert Jean-Pierre Renard before heading north to hear from Maison Simmonet-Febvre in Chablis, then south to Mersault and Comtes Lafon and on to Pouilly-Fussé where Antoine Vincent from Château de Fuissé took us through the different vineyards he uses to produce his wines. 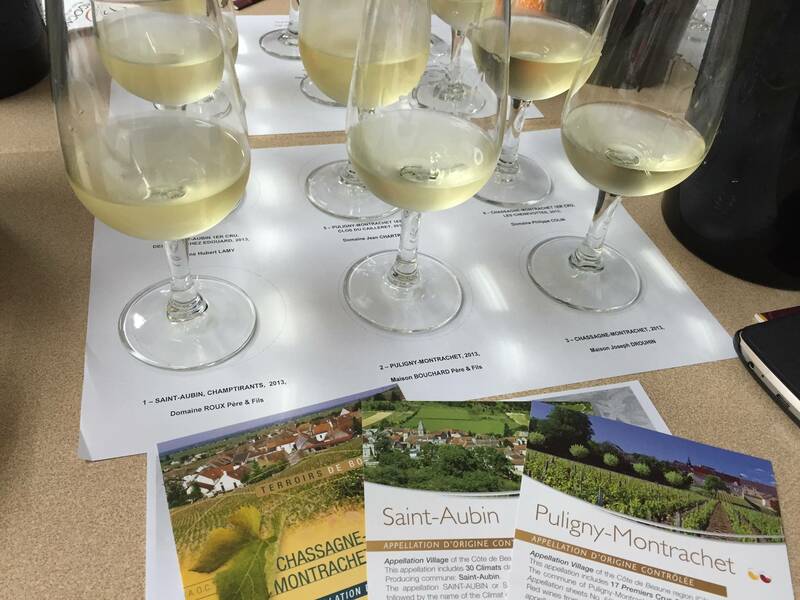 Next up we headed to Saint-Aubin, Puligny-Montrachet and Chassagne-Montrachet, the focus of today’s seminar with a village appellation and a premier cru wine from each of the regions for tasting. “We don’t make Chardonnay, we make [insert appellation]” was the theme of the today’s presentation and as M. Renard guided us through the seminar it became clear just how many different expressions of Chardonnay are produced in Burgundy – most certainly something for everyone! The seminar guided us through each appellation looking at maps, photographs and shots from vineyards within the areas showing different soil types and locations, before concluding with a guided tasting. Jean-Pierre Renard reviewing the map with us. The examples provided were of excellent quality and the perhaps lesser-known Saint-Aubin showed very well against its better-known neighbours. 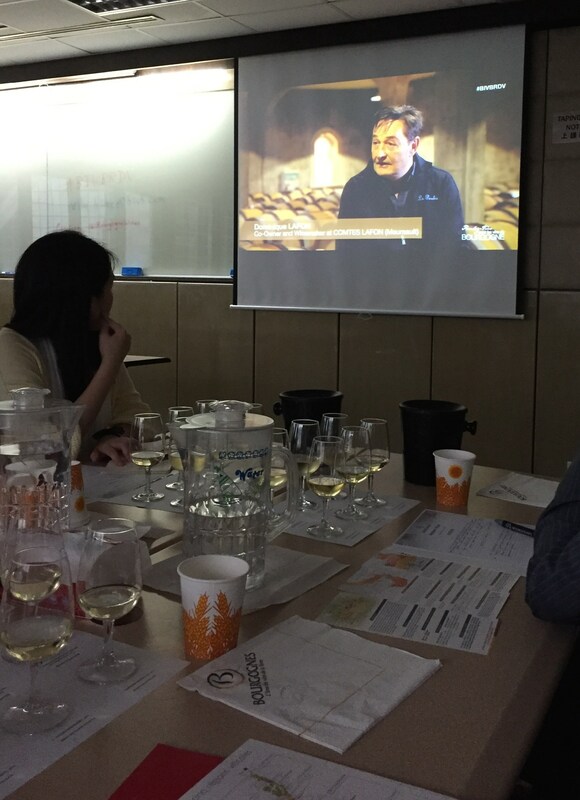 When asked by attendees in South Korea what the general description of each region might be M. Renard summed it up brilliantly; “crisp and fresh” for Saint-Aubin, “elegant, aromatic, distinguished” for Puligny-Montrachet with the Chassagne-Montrachet showing “body, structure and roundness”. While this is a general description it is nonetheless a very useful starting point for discerning differences between these three appellations. Brilliant summary report – thanks Simone. Watched in the UK now for me…..and going down to BIVB very soon. Fascinating insights from J-P Renard again. Lucky you – looking forward to hearing all about your trip! ← Wines of South Africa – now is the time to get onboard!